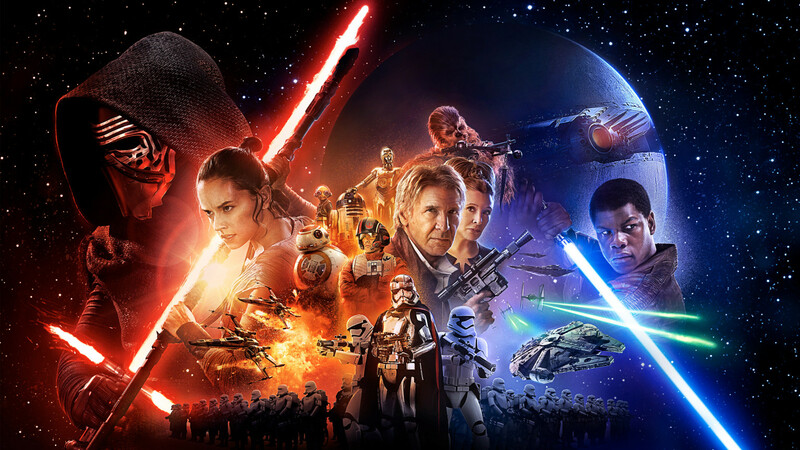 So the official trailer for ‘Star Wars: The Force Awakens’ was released, and I can’t be more excited to see this movie!! What are your initial thoughts?? You can check out the trailer below (if you haven’t already OR you just want to watch it again! 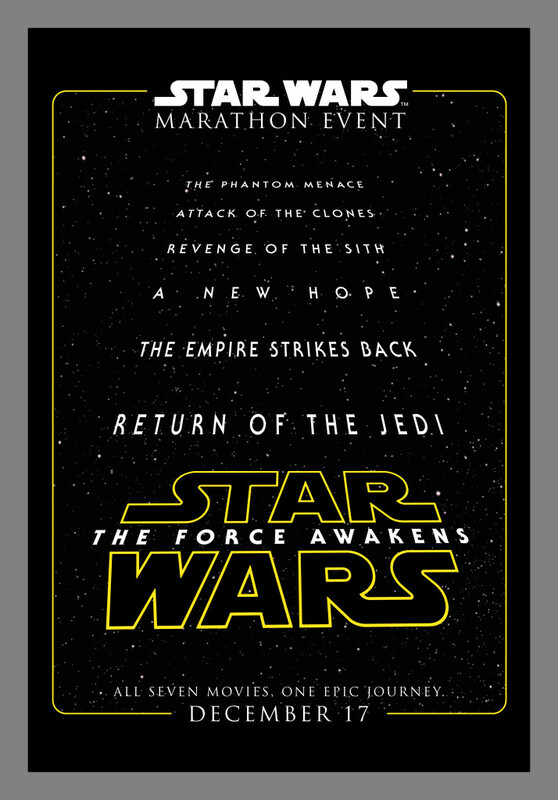 ), and also check out the list of participating theaters for the Star Wars Marathon Event! 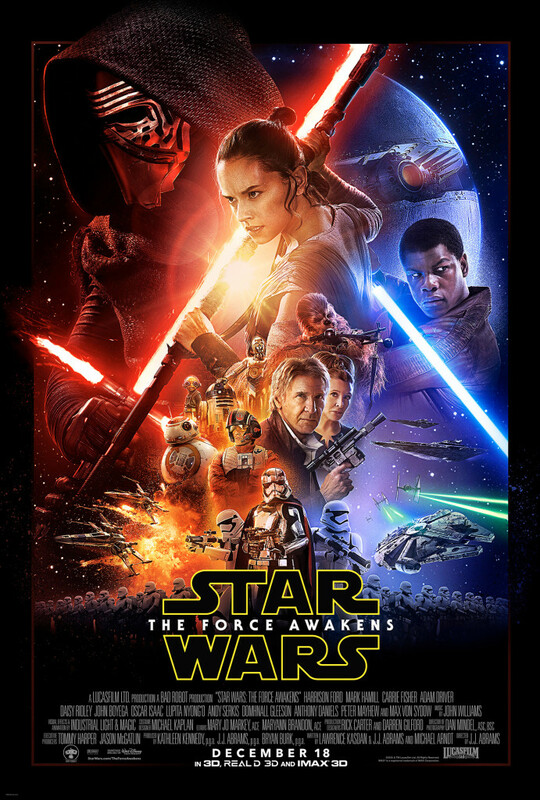 This event will take place on December 17, just one day prior to the release of ‘Star Wars: The Force Awakens.’ Some theaters are even offering themed incentives for advanced ticketing, so check out the site HERE for more information!